Clairton Coke Works. Photo by Mark Dixon, Blue Lens, LLC. 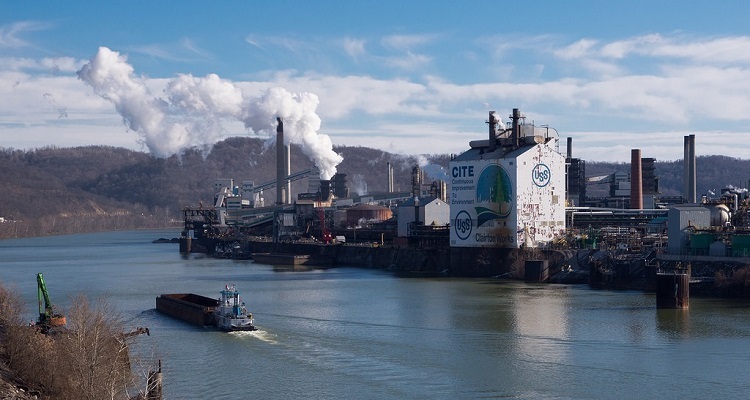 The Community Robotics, Education and Technology Empowerment (CREATE) Lab at Carnegie Mellon University wanted to find a way to help Neville Island residents dealing with pollution from the nearby Shenango coke works plant. “They felt very disempowered,” says CREATE Lab senior programmer and analyst Paul Dille. So they created Shenango Channel, a tool that photographed the plant’s smokestacks every five seconds and correlated their output with reports about bad smells or people suddenly getting sick in the area. Shenango Channel provided the Neville Island citizen action group Allegheny County Clean Air Now with evidence to pressure the Allegheny County Health Department (ACHD) to crack down on the plant over emissions violations. They also lobbied to shut it down, a wish that came true last year. The experience led CREATE Lab to develop Smell PGH, a mobile app designed to engage Pittsburgh residents in tracking pollution-related odors across the region. 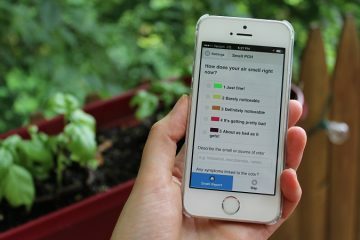 Using a color-coded system, users can report episodes of foul smells in and around their neighborhoods or other places they frequent. The app allows them to see if others are experiencing the same event. “It gives a bigger sense of community and makes you feel like you’re not isolated,” says Dille. 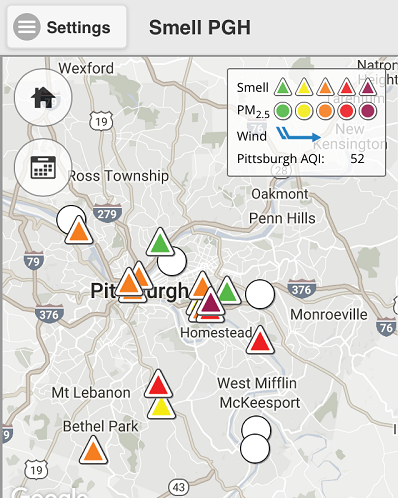 Screenshot of Smell PGH app. Smell PGH is one of many technologies available to residents determined to stay on top of Pittsburgh’s notoriously poor air quality. Some work inside like CREATE Lab’s Speck Sensor, which detects fine particulate matter in indoor environments. 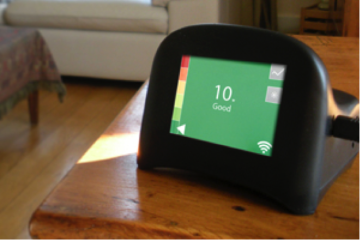 There’s also Awair, Foobot and the Dylos monitoring products, all devices that track levels of airborne toxins, allergens and chemicals in the home. Tools like these are implemented by ROCIS, an organization committed to reducing the outdoor contaminants that invade indoor spaces throughout the region. In 2011, he released YERT: Your Environmental Road Trip, a documentary chronicling a yearlong journey across all 50 states. For his current project, a film with the working title Inversion: The Unfinished Business of Pittsburgh’s Air, he relies on sensors and tracking technology to reach out to the community and as a way to prove that Pittsburgh has a pollution problem. He also uses them in his personal life. “I will often use some combination of the Awair sensors with the Smell PGH app to see whether the air is suitable for me to go jogging outside,” he says. He also uses resources like AirNow.gov, a website that highlights air particle levels across the region. He sees technology like Smell PGH as a way of validating and galvanizing private citizens who are convinced facilities like the Shenango coke plant are to blame for toxic stench clouds. When people complain to agencies responsible for regulating polluters, Dixon says they’re often dismissed, an experience he’s encountered multiple times with the ACHD. He finds their claims not only hard to believe, but infuriating. Dille agrees that poor air quality exists and it isn’t limited to any one part of the city. “The reports we see come in from everywhere, so it shows us that, in general, Pittsburgh is nasty all over,” he says. He says CREATE Lab tries to combat the problem by sending the app’s crowdsourced data to the ACHD to keep them aware of the public’s experiences. They also work closely with environmental advocacy groups like PennFuture, PennEnvironment, Group Against Smog and Pollution (GASP), and Clean Water Action. Dille says they also plan to expand their services to other cities and are working to apply their Smell PGH and Shenango Channel models to help the San Francisco Bay Area, another place suffering from rampant air pollution.